When Lights are Required to Be Installed on a Trailer? Making sure that your trailer has functional lights before getting on the road is a legal requirement. The United States Department of Transportation’s (DOT) National Highway Traffic Safety Administration has a list of basic lighting equipment (compiled based on SAE requirements) that each and every trailer should feature. So the only possible answer to the question “When are lights required to be installed on a trailer?” is “Always,” because all kinds of trailers, from boat trailers to gooseneck trailers must be equipped with properly working, permanently mounted lights. All in all, making sure that others can see your trailer is a matter of common sense rather than legislation mandates. 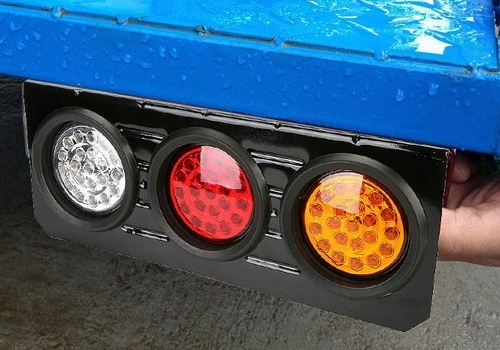 All trailers that head out on the open road in the U.S. must have the following pairs of rear lights: tail lights and reflex reflectors that serve as indicators of trailer’s presence and width; brake lights to inform about stopping or slowing down, and turn signals to indicate in which direction you are going to turn. All of these lights should be red, except for rear turn signals that can be either red or yellow. 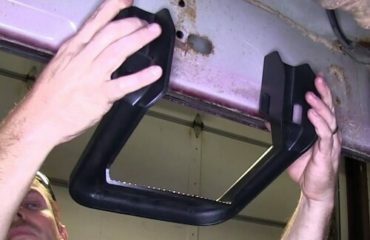 A trailer must also be equipped with minimum one license plate lamp (white), mounted above the license plate or at its sides. All rear lights except for the last-mentioned one are required to be installed symmetrically and as far apart as possible. Side lighting is also mandatory for any trailer – it is used to indicate its length and presence. It must be equipped with at least two red rear side marker lights and reflectors, placed on each side of the trailer as far back as possible. At front, as far forward as it is possible, there should be a pair of yellow side marker lights with reflectors. Trailer light requirements for wide and long trailers mandate additional lights to be installed. If you have a 30-ft. long trailer (or longer), you need to have at least a pair of yellow intermediate side marker lamps to indicate its length. 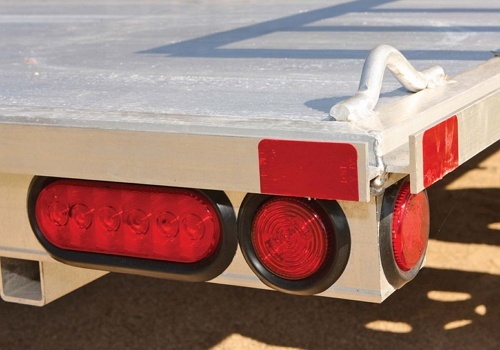 Trailers that measure 80 inches in width or more should have additional red lights at the rear: three identification (ID) lights centered on top and two clearance lights located at the widest point as high as possible. In front of a trailer, a pair of yellow clearance lights must be installed, also at the widest point at the top. A set of additional lighting is required for wide trailers with 10,000 lb of gross vehicle weight rating. No matter where you are in the United States, the NHTSA has a set of strict requirements that regulate trailer lighting. According to that list, all trailers require basic lights, so this fully clarifies the question “When are lights required to be installed on a trailer?” So when planning on the next towing trip, make sure your trailer is road legal. 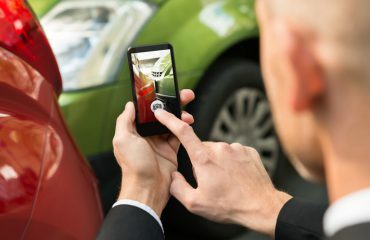 Andrew Demaree is Bully’s resident technical writer and automotive expert. Being SAE certified mechanic, Andrew knows how your vehicle works and how to make it run even smoother. He is also passionate about truck customization and off-roading, so when it comes to adding some style and functionality to your truck, you can rely on Andrew’s knowledge. 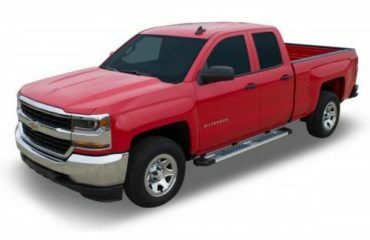 Built with quality and strength that will match that of your rig, our truck accessories are custom designed to enhance the appearance and function of your vehicle.